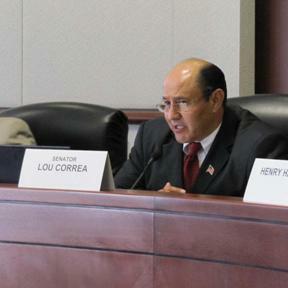 Senator Correa is the Chairman of the State Senate’s Select Committee on California-European Trade. His emphasis is to encourage more European firms to set up their U.S. operations in California, thus creating more jobs for California residents in the process. European employers, exports and investment already support over one million California jobs. There are numerous opportunities for attracting even more jobs to California and Orange County from major European firms. Many European firms are exploring potential U.S. site locations in a whole range of high-tech industries including, solar and other “green” technologies, biotechnology, nanotechnology, pharmaceuticals, computer software, and other areas. “We want to pursue these site-selection opportunities aggressively because they will bring with them high-wage jobs with good benefits for Californians. This committee will hear from representatives of some of the world’s biggest and most advanced economies, including Germany, France, the United Kingdom, Italy, Spain, Switzerland and the Netherlands, among others. Our purpose is to share ideas on how California can attract even more high-end jobs from European companies to locate here. When European firms are thinking of either setting up shop in the US or expanding their existing operations, we want them to think of California as their first choice,” Senator Correa concluded. The Senate Select Committee on California-European Trade will be holding this Informational Committee Hearing on Wednesday, February 10th, beginning at 2:30 PM, in Room 2040 of the State Capitol in Sacramento. The public is invited to attend.